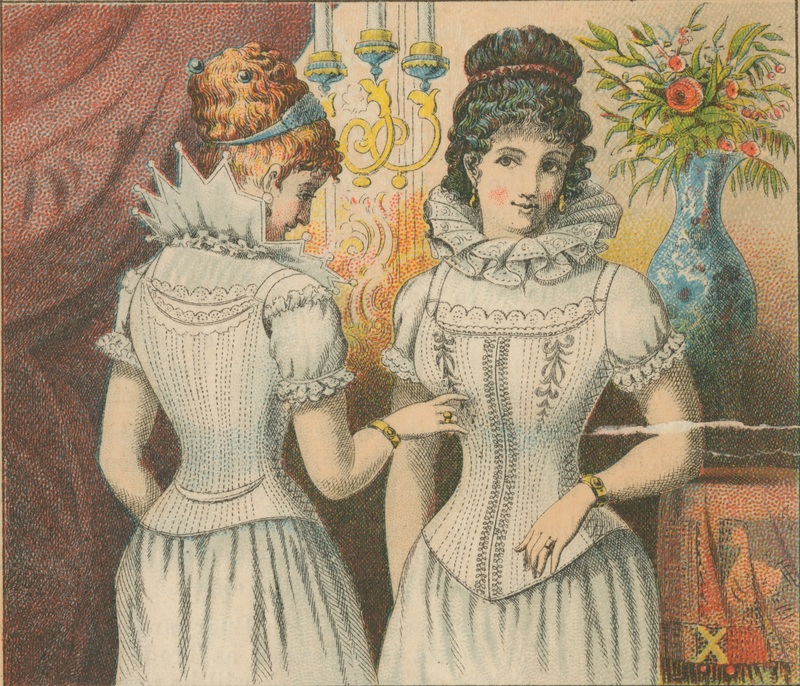 This interactive performance will unveil the mystique of ladies fashion in the Victorian era. The “Victorian Striptease” is an exclusive opportunity to experience first-hand the trials and tribulations of women’s fashion. An eye opening performance, provided by historian and performer Barbara Darlin, will provide a historical perspective on women’s fashion, the female body image, and how fashion impacted daily life at the turn of the 20th century. Unlacing the Victorian Woman is a program of Fashioning Philadelphia, the Library Company’s latest exhibit examining the style of the City of Philadelphia from 1720 – 1940. Dessert reception to follow performance. Dessert reception to follow event. Before the event, please take advantage of Nomad Roman’s (1305 Locust Street) happy hour from 4-6 pm: 20% of proceeds will go back to Library Company. Dr. Marc Stein will use Philadelphia LGBT history to explore the sexual dimensions of the past when historians, librarians, archivists, publishers, and others construct and reconstruct historical narratives. Cosponsored by the Library Company of Philadelphia. Preceeded by a reception at Library Company of Philadelphia at 5:30, with the lecture to follow at HSP at 7 p.m.
September 4 – October 10, 2014, 9 a.m.-4:45 p.m.
Philadelphia artist Teresa Jaynes, The Moon Reader. An artist project hosted by VCP at LCP at The Library Company of Philadelphia. Created by Philadelphia artist Teresa Jaynes, The Moon Reader is inspired by 19th-century primers in the Michael Zinman Collection of Printing for the Blind at The Library Company of Philadelphia. 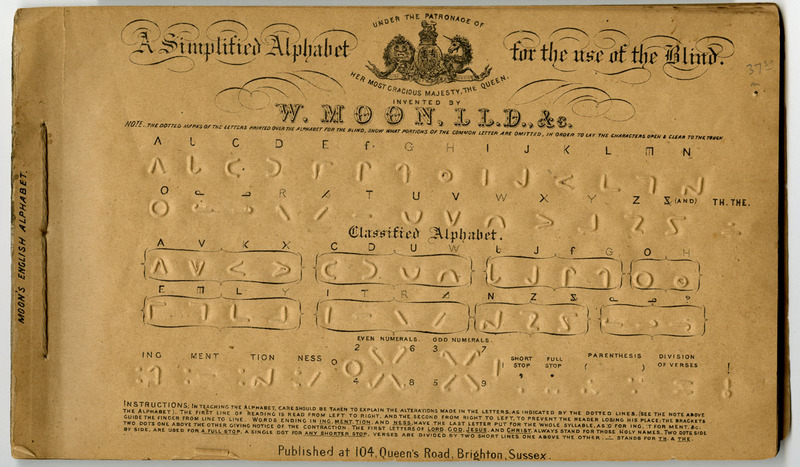 The multimedia installation, comprised of two artists’ books (in Moon type and in Braille and large print) and an audio file, invites participants to learn to read Moon, an embossed reading code for the blind invented by blind educator William Moon in 1845. The Moon Reader will serve as a literal and figurative meeting place where the tactile experience is primary and accessible to almost everyone. The activity – deciphering, translation, and finally comprehending – will be a quiet act of discovery. Visitors will be invited to learn to read Moon and interpret ideas about sight in ways that elicit curiosity, humor, and empathy. Afterwards, readers may post comments on The Moon Reader Facebook page where they can also learn more about William Moon and the artist’s creative process. Gallery Open: Monday–Friday, 9:00 a.m.–4:45 p.m. 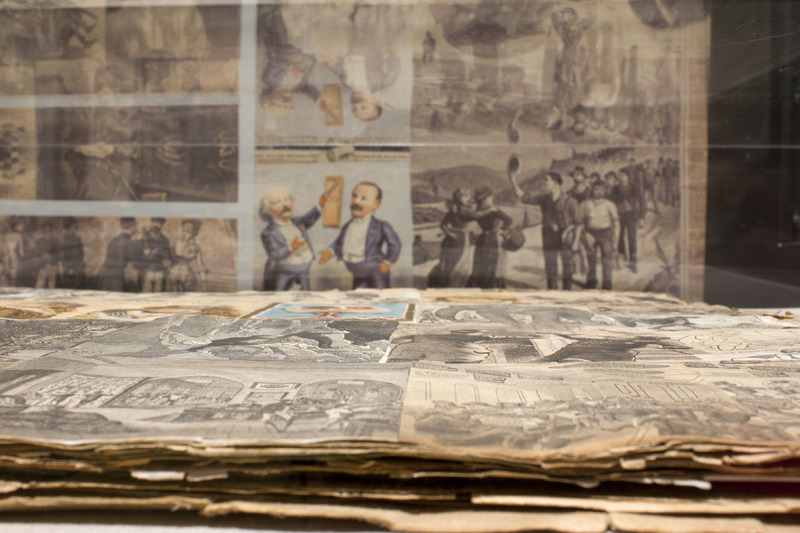 The exhibition highlights the Library Company’s vast collection of ephemera from the 18th to the early 20th century. With materials ranging from throw-away items to finely printed works, Remnants of Everyday Life considers the cultural impact of advancements in mass production technologies. 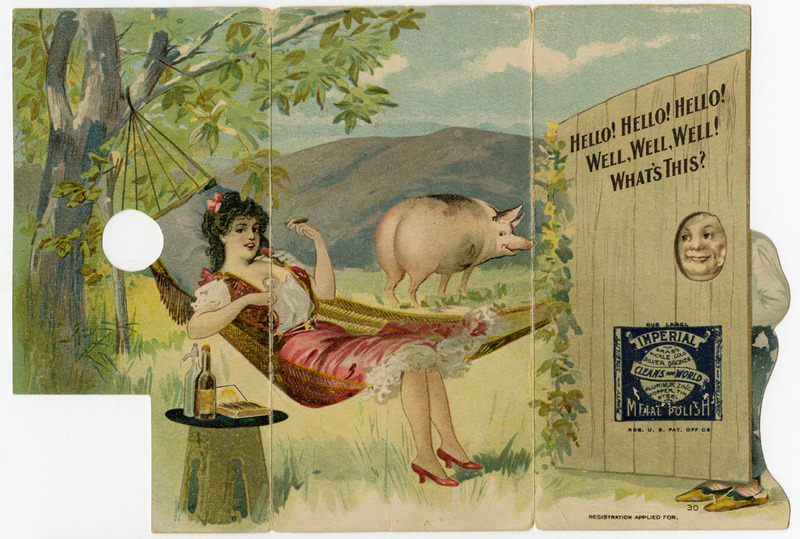 The exhibition addresses the evolution of the graphic design of ephemera; ephemera associated with women’s role in the home, such as scrapbooks; the changing nature of leisure activities and consumerism over the course of the 19th century; and the life-cycle of commercial ephemera between the workplace, street, and home. The Library Company has been collecting ephemera since 1785, and today has one of the largest, most important, and most varied collections of early American ephemera in existence. Curated by Rachel D’Agostino and Erika Piola. 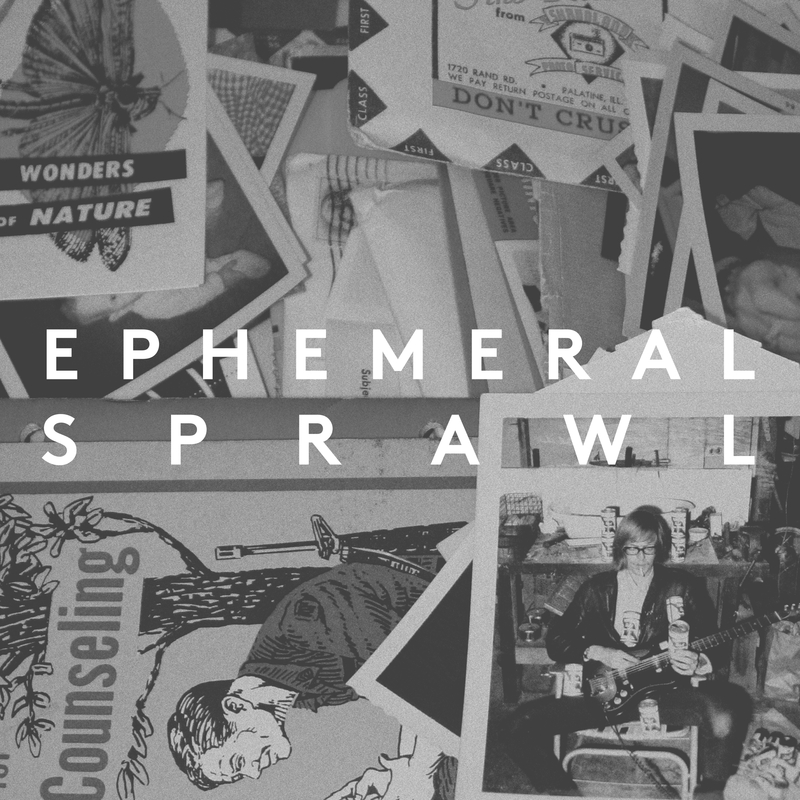 Ephemeral Sprawl, and it will take place at The Print Centers’s Philadelphia gallery in a rolling fashion from September 2013 through May 2014. Critically the exhibition is a broad historical, cultural, and creative survey of the way printed ephemera has invisibly woven itself into our understanding of art and culture. The exhibition will feature historically significant objects, and collections of ephemera by noted critics, curators, and institutional archives, in conversation with contemporary artists whose work in some way intersects with printed ephemera. By placing historical, popular, and creative works in a close proximity we hope to complicate our audiences understanding of how value is generated and accrued within a cultural context. In researching this exhibition we were inspired by our discovery that Alfred Jarry, the author of the 1896 play, Ubu Roi, and considered by many to be a progenitor of the modern avant-garde edited a series of publications that sought to put populist mass produced printed ephemera in conversation with work of historical significance, and some of the leading graphic work of his day; a model that closely mirrors our own. Ephemeral Sprawl has been organized in concert with the venerable Library Company of Philadelphia’s exhibition Remnants of Everyday Life: Historical Ephemera in the Workplace, Street, and Home (http://www.librarycompany.org/collections/exhibits/index.htm), and will coincide with the Ephemera Society of America’s annual conference, which will be held in Philadelphia.